The climate of Rajasthan will be divided into four seasons Summer, Monsoon, Post-Monsoon, and Winter. The capital town has forever been praised for its splendid artifacts, exquisite jewelry, and cordial welcome. To add on to its glory Jaipur has several necessary temples, long-standing Forts, Palaces and surprise full landscape. Here we have a new place in Rajasthan to visit in your upcoming summer vacations. Pushkar is one of the best cities in Rajasthan and famous all over India. The places you can enjoy in your tour includes the Pushkar Lake, Savitri Temple, Brahma Temple, Pushkar Camel Fair, Old Ranji Temple, Dharma Camel Safari, Varaha Temple, Atmeshwar Temple, Gurudwara Singh Sahib and many other places. 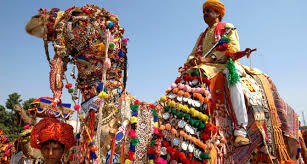 So if you are planning to visit Rajasthan this time you can plan for Pushkar. To plan your trip you can contact to your nearby tour and travel agency, they will suggest you the best offers they are providing, they will provide you many services within the package including the hotel, food, guide, cab facilities to the locations and many other facilities. Hope you will surely enjoy the tour. Puskar Ji temple is famous worldwide as it the only temple of Brahma Ji. This temple is also known as the Jagatpita Brahma Temple. The temple is situated near the Pushkar Lake, this is the only temple dedicated to the creator of the earth, and the most visited temple of the Pushkar, according to the history it was established approximately 2000 years before. The places which you can visit include the Mandapam of the Brahma Temple, Front Facade of the Brahma Temple, Pilgrims bathing in the Pushkar lake, can visit the Savitri Temple also. I assure you that you will love to visit this temple. Varah Temple of the Pushkar is basically dedicated to the Lord Vishnu, it is the symbol of richness and peace of Hindu Culture. It is believed that time to time Lord Vishnu took birth on earth to kill the evils to maintain the peace and harmony on the earth, Lord Vishnu is one of the Tridev and considered as the ‘Palankarta’. This temple is also one of the most visited temples of the Pushkar. The Varah idol inside the temple is a symbol of power and strength and also worshipped by the peoples. 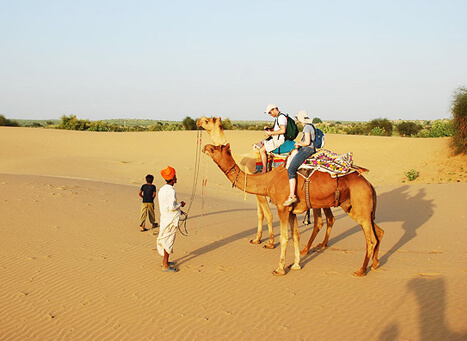 So this time you can plan your trip to Pushkar and for it, you can contact to your nearby tour and travel agent, they will provide you with the best offers and packages and you need to select as per your budget and comforts. Stay tuned with us we will get back soon with some more places to visit. One will buy native handicrafts. Besides textiles, it’s notable for brass and iron scissors. price visiting area unit the Kanoria and Ganeriwala havelis. On arrival at metropolis flying field, our representative can greet you with a conventional WELCOME “Namaste” gesture-Two hands joined along that shows the heat and love for its guests. This cordial reception and culture make the journey to Bharat unforgettable. once the nice and cozy welcome transfer to the building. night long keep. After breakfast begins the morning with the look in a metropolis. Visit the historical monuments like Jama mosque (closed on Monday) – the biggest place of worship in Asia, Red Fort that is that the red stone magic from outside. Gandhi memorial called the memoir of father of the state. once this begins your look at Bharat Gate -The memorial of martyrs and also the Parliament House – the govt. . headquarters, Humayun topographic point. once Lunch, drive to the metropolis by the road that is approx 205kms/05 hours drive. Arrive Associate in Nursing arrival at the building for a night long keep. After having breakfast head to mausoleum (closed on Friday). Taj Mahal, the foremost exclusive monument was engineered by the Mughal Emperor Shah Jahan in 1630 AD for his queen Mumtaz Mahal to enshrine her mortal remains. It’s a verse form written in white marble, the foremost extravagant monument ever engineered for love, Then visit to metropolis Fort that may be a should as several of the events passed here that cause the development of the mausoleum. once Lunch drive to Jaipur that is approx 240kms/05hours to go to Fatehpur Sikri. engineered by Emperor Akbar in 1569 AD, Fatehpur Sikri has the foremost sleek buildings as well as Taurus Chisti’s topographic point, Jama mosque, Panch Mahal and different palaces. once exploring reach Jaipur, arrival at building for Associate in Nursing night long keep. once breakfast visits Jaipur in the morning, take Associate in Nursing excursion to Amer Fort with joy ride on Associate in Nursing Elephant. whereas returning to the town, have a glimpse of Jal Mahal. For an additional look of Jaipur visit town Palace that occupies an outsized space divided into a series of gardens, courtyards, buildings, an ideal mix of Rajasthan and Mughal design. Another masterpiece, Royal Observatory – Associate in Nursing observatory with some rare qualities to its credit, drive past Hawa Mahal (the Palace of Winds) – and also the Bazaar. once lunch comes back Associate in Nursing relax within the building for a night long keep. After morning breakfast, drive to Pushkar that is a hundred thirty Kms /2 ½ Hrs Drive from Jaipur. On arrival choose tented accommodation. once lunch within the Afternoon, visit even-toed ungulate truthful. Then head to the building for Associate in Nursing night long keep. Begin the day by visiting even-toed ungulate truthful and come back to building for night long keep. After breakfast, drive to metropolis approx 395 Km/ 06-07 Hrs Drive. once arrival has dinner at town edifice then head to the international flying field for a flight for onward destination. Get transferred to the flying field and board the flight to your onward destination. MAP(breakfast+dinner) packages are also available, please ask our executives.